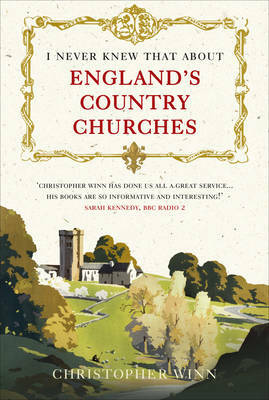 This charming book takes you through the counties of England, exploring Saxon churches, reflective of simple faith; Norman churches with rugged arches and powerful pillars, stamping their authority, gothic churches with their soaring arches; Decorated and Perpendicular churches made glorious with Early English style and craftsmanship; Victorian churches, resplendent with imperial pomp; eccentric Arts and Crafts churches. Every one of them has a remarkable tale to tell, that will move you to exclaim, again and again: `I never knew that! '.